£99 per hour . Instant booking. Expertly retouched photos within 48 hours. We know that finding the right photographer for your wedding can be a daunting and difficult task. We’ve created the solution. Splento is the new booking platform that’s making it easier and faster than ever to hire the perfect professional wedding photographer for you. Whatever you envision, our customer service team is dedicated to helping you create your perfect wedding package. With our in-house teams of quality tested photographers and retouchers, free consultations and a wide range of photography extras to choose from, you are sure to get results that you’re proud of. Take a look at our galleries and what our users say below, then book us for yourself today. Color and tone correction, small blemishes removal. Brightness, contrast and saturation changing. Toning and vignetting (according to instructions). Teeth whitening, hair retouching, removal of undesirable elements, sharpening, following a professional photographer style. Photomontage. Every photosession is important to us and we want to build lasting relationships with every client. We are proud of our high TrustPilot rating and our loyal client base. Hiring a professional photographer has never been easier! Splento’s team of carefully vetted professional photographers are equally equipped to cover all types of events and at a very fair price. Make a booking in under a minute and our professional photographers can be wherever you need them, in as little as two hours. Now that's what you call on demand! We upload your expertly edited photos in 48 hours, 24 hours, the next morning or during the event to your own private, shareable online gallery. All our photographers are professional and carefully selected so that we can offer a consistently high level of quality to our clients. Just enter the details of your photo session and we’ll instantly provide a photographer for you. No stress. No hassle. Wedding Photography Industry is a very competitive industry in London. There are lots of amazing Wedding Photography Industry photographers in London with a whole range of offers, different prices and availability. Most of these incredible professionals shy away from openly competing with each other, on the other hand – we love competition and we respect our competitors. 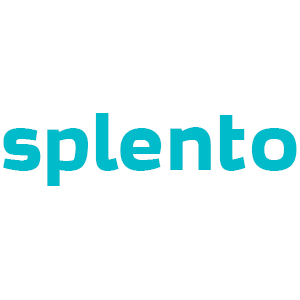 In fact, we are so confident that Splento offers the best value for money in London's Photography Industry scene that we even listed all of our competitors below. Lock, stock and two smoking barrels. You are more than welcome to speak to any of them or all of them, but we bet our bottom dollar that you will come back to us. Where else can you find the best Wedding photographers in London from £99 per hour and photos delivered in 48 hours? London, Friars House,Friars Road,East Ham,London,E6 1LH. Let’s talk business or just have a coffee. We would love to hear from you!